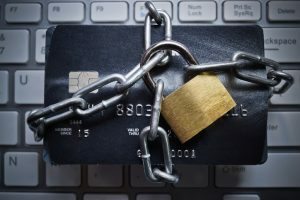 Home / Resources / Safety & Security / The Equifax Breach: Now What? Equifax, one of the three main credit reporting agencies, recently announced a massive data security breach that exposed the vital personal identification data of roughly 55 percent of Americans age 18 and older. This data breach was especially egregious because the company reportedly waited roughly six weeks before making it public and three senior Equifax executives reportedly sold shares of the company worth nearly $2 million before the breach was announced. The company has faced widespread criticism for the breach and for its response. Both the FBI and Congress are investigating the breach. Equifax has set up a website where consumers can check if they’ve been affected by the breach. Click on “Potential Impact” at the bottom of the main page and then “Check Potential Impact,” where you will be asked to provide your last name and the last six digits of your Social Security number — a request that was widely mocked on social media as being too intrusive. Regardless of whether your information may have been affected, everyone has the option to sign up on the website for one free year of credit monitoring and identity theft protection. Click “Enroll” at the bottom of the screen. You must follow the instructions to go through an actual enrollment process with TrustedID Premier to officially enroll. Fraud alerts. Your first step should be to establish fraud alerts with the three major credit reporting agencies (Equifax, Experian, and TransUnion) to alert you if someone tries to apply for credit in your name. You can also set up fraud alerts for your credit and debit cards. Credit freezes. A credit freeze will lock your credit files so that only companies you already do business with will have access to them. If someone tries to apply for credit in your name using your address and Social Security number at a different bank, the bank won’t be able to access your credit report. (However, a credit freeze won’t prevent a thief from making changes to your existing accounts.) Before freezing your credit reports, though, it’s wise to check them first. Also keep in mind that if you want to apply for credit with a new financial institution in the future or you are opening a new bank account, applying for a job, renting an apartment, or buying insurance, you will need to unlock or “thaw” the credit freeze. You need to freeze your credit with all three bureaus individually. Credit reports. You can obtain a free copy of your credit report from each of the major credit agencies once every 12 months by requesting the reports at annualcreditreport.com or by calling 877.322.8228. Because the breach could have long-term consequences, it’s a good idea to start checking your report as part of your regular financial routine for the next few years. Statements. Review your bank and credit card statements regularly and look for any transaction that seems amiss. Your vigilance is an essential tool in fighting identity theft. Mark A. Vergenes is president of MIRUS Financial Partners and Chairman of the Board for the Lancaster Parking Authority. Investment Advisor Representative offering securities and advisory services offered through Cetera Advisor Networks LLC., member FINRA/SIPC. Cetera is under separate ownership from any other named entity. MIRUS Financial Partners nor Cetera Advisor Networks LLC. give tax or legal advice.